India’s Fastest Super Computer is SAGA-220 now. Yes, SAGA-220 - Supercomputer for Aerospace with GPU Architecture-220 TeraFLOPS. Indian Space Research Organization (ISRO) has unveiled India’s supercomputer SAGA220 built by the Satish Dhawan Supercomputing Facility located at the labs of Vikram Sarabhai Space Center(VSCC), Thiruvananthapuram at a cost of about Rs 14 crore was inaugurated by K Radhakrishnan, Chairman ISRO at VSSC a week back. It is capable of a theoretical peak performance of 220 TeraFLOPS (trillion floating point operations per second). 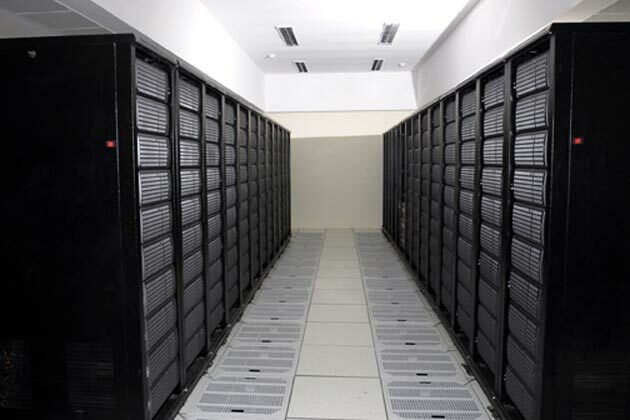 The new Graphic Processing Unit (GPU) based supercomputer, "SAGA-220" is being used by space scientists for solving complex aerospace problems. The present GPU system offers significant advantage over the conventional CPU based system in terms of cost, power and space requirements. World’s fastest computer, Tianhe-1A has a peak performance of 2566 TeraFLOPS which is followed by Jaguar-Cray with 1759 TeraFLOPS. Now, SAGA displaces India’s existing supercomputer by Tata Sons called EKA which has a peak performance of 172.61 TeraFLOPS. These are the only two super computers of India which will be featured in the top 100 list of supercomputers. Despite SAGA-220 has 220 TeraFLOPS speed, it would not even figure in the top 10 list of world’s supercomputers. It would be placed at 28th position. If SAGA touches the 1000 TeraFLOPS peak performance it would immediately be positioned at 11th rank. 220 Trillion Floating Point Operations Per Second (TeraFLOPS). Costed Rs. 14 crores. EKA has costed Tata Sons an approximate 320 crore rupees ($30 million). Built from commercially available hardware, open source software and in house development. Uses 400 NVIDIA Tesla 2070 GPUs and 400 Intel Quad Core Xeon CPU’s supplied by Wipro with each GPU and CPU providing a performance of 500 GigaFLOPS and 50 GigaFLOPS respectively. Consumes only 150 Kw of power. Can be scaled up to many PetaFLOPS (1,000 TeraFLOPS). This is really a good work by our INDIA, but this is not enough, we can do more. Wishing India All the Very Best for the next work, Hope atleast that will get a place in the top 10 list.